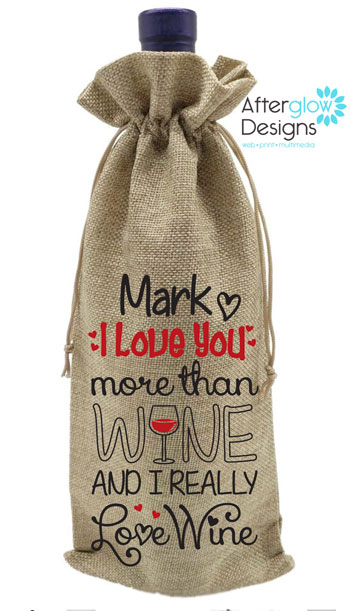 You love wine and you love him/her! 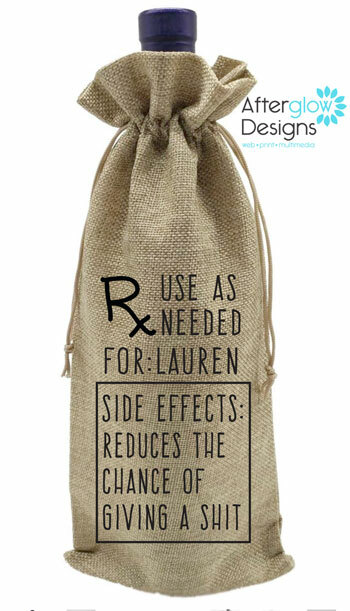 This personalized bottle gift bag can have his or her name added making it perfect for gifting them their favorite bottle of wine! 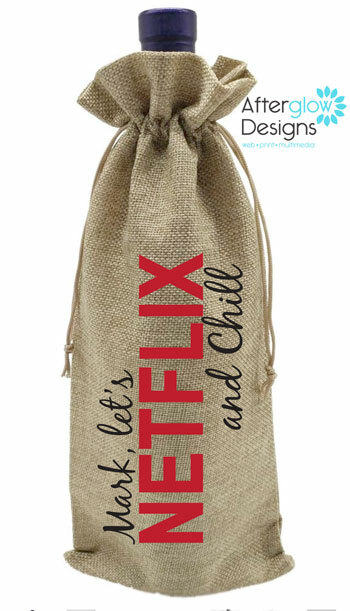 This personalized bottle gift bag can have his or her name added making it perfect for gifting them their favorite bottle of wine (or yours)!